This May, for a period of three weeks, we’ve had the pleasure of hosting two fellow roboticists, Guido van der Hart and Nicky Mol, from one of our partner companies based in the Netherlands: Heemskerk Innovative Technology (HIT). Over at HIT, Guido and Nicky keep themselves busy by trying to anticipate some of the problems that will arise as a result of the aging of western societies. One of the issues they foresee is that as our populations age, there will be fewer health care workers to care for a larger group of patients. 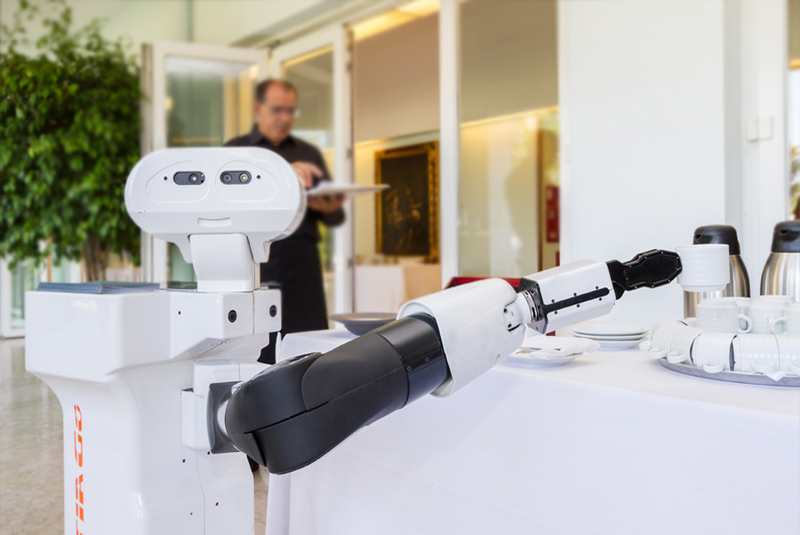 Deploying service robots, like TIAGo, that can perform simple manipulation, cleaning or logistics tasks can alleviate the workload of care professionals, allowing them to focus on their primary task of care-giving. Importantly, this may also allow patients to maintain a greater degree of autonomy and independence in their day-to-day lives, leading to reduced frequency and duration of hospitalization. 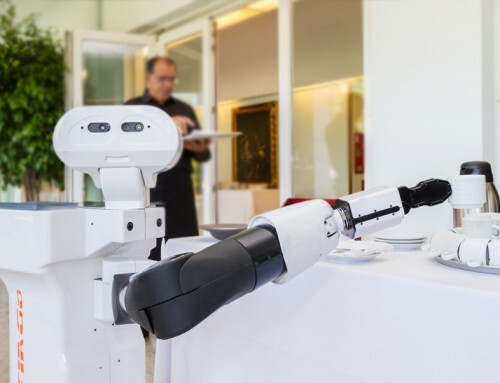 Due to the nature of the environments the robots have to operate in, achieving full automation in the healthcare industry, is incredibly complex. 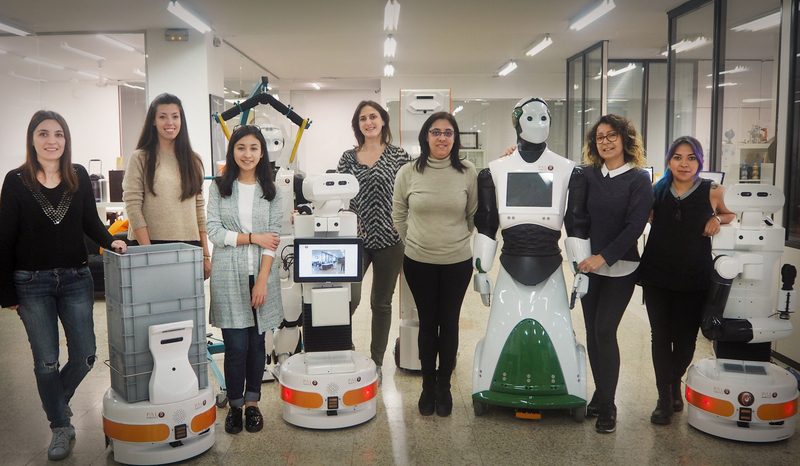 In order to accelerate the deployment of robots in hospitals and homes, HIT is therefore working on the near-term implementation of semi-autonomous robots. 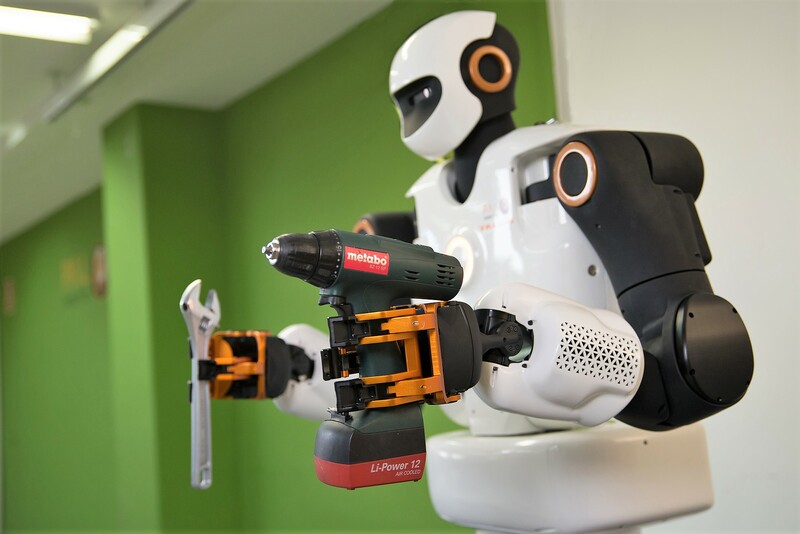 To be classed as semi-autonomous, robots have to be aware of their capabilities and, in particular, of the actions they’re not able to perform without assistance. 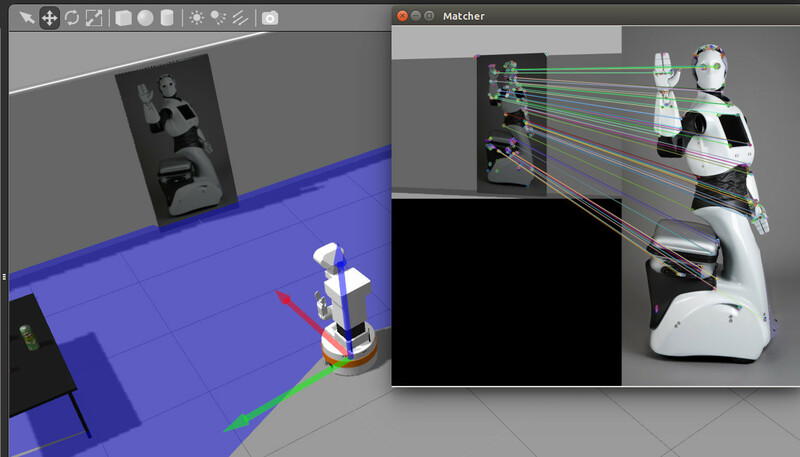 When autonomous capabilities fall short, the robot would need to inform an operator located at a global control centre. It is envisioned that in such a control centre, multiple operators could be monitoring and assisting hundreds of robots all around the world. 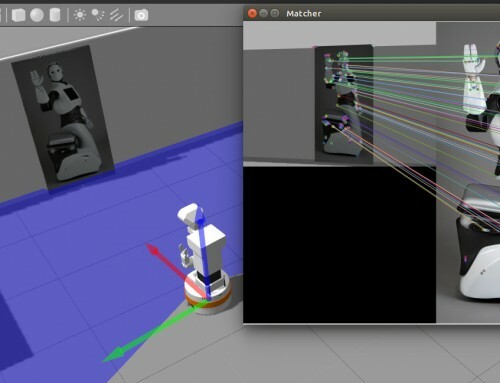 In order to work towards this goal, an early prototype of TIAGo was shipped to the Netherlands, where a team of HIT engineers have been developing a cockpit interface to remotely control the robot online, from anywhere in the world. The recent addition of a screen and microphone to the prototype will enable an operator to communicate with patients at the remote location. 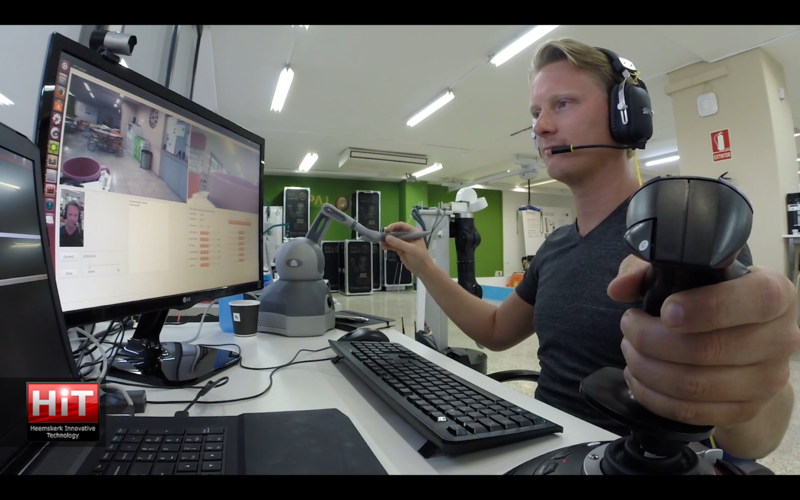 Because TIAGo is equipped with a force/torque sensor on its wrist, the forces that are encountered upon interaction with the remote environment can be presented to the operator through a joystick that is able to display forces. In this way, the operator can actually feel what he is doing, which is incredibly useful when performing tasks that require contact with the environment. 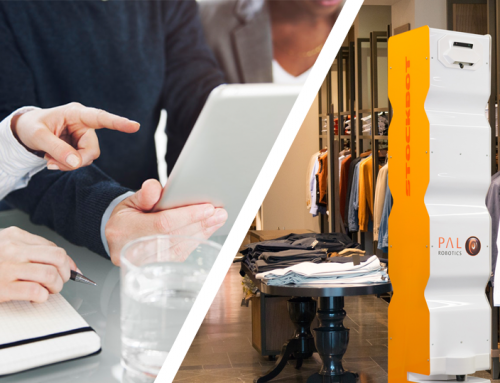 One of the main technological challenges the team encountered was keeping the system stable in the presence of time-delays that occur when controlling the robot online. When a robot encounters its environment, a chain reaction of delayed impact forces cause the operator to bounce off the environment. Not only does this make the robot very hard to control, but it can also cause damage both to the robot and the objects around it. 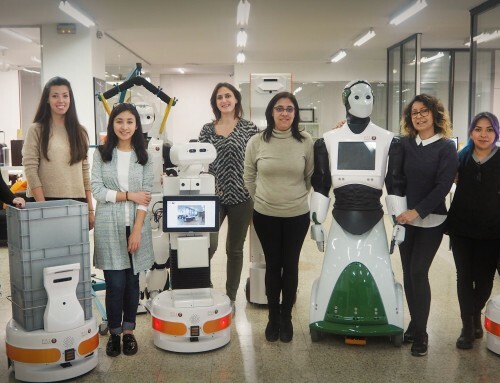 During the time they spent working with the prototype of TIAGo, the team at HIT managed to implement a clever control method to resolve these challenges. We will go into more detail in an upcoming blog post, so stay tuned! During their stay, Guido and Nicky were able to get their cockpit operational on the newest version of TIAGo. 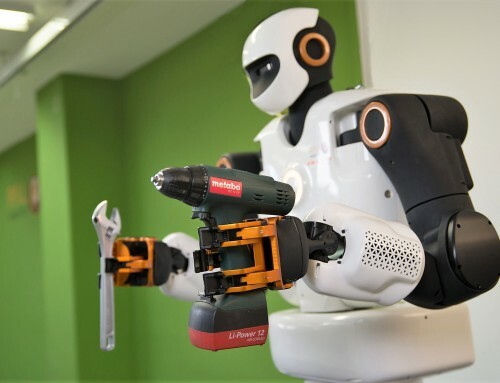 They also managed to perform a series of manipulation tasks while remotely operating the robot.